Divi Builder is the most widely used and powerful page builder currently available for WordPress. The only problem with it is when you go to build a page you're given a completely blank slate, empty white space. The question then is, where do you go from here? This course aims to answer that question. 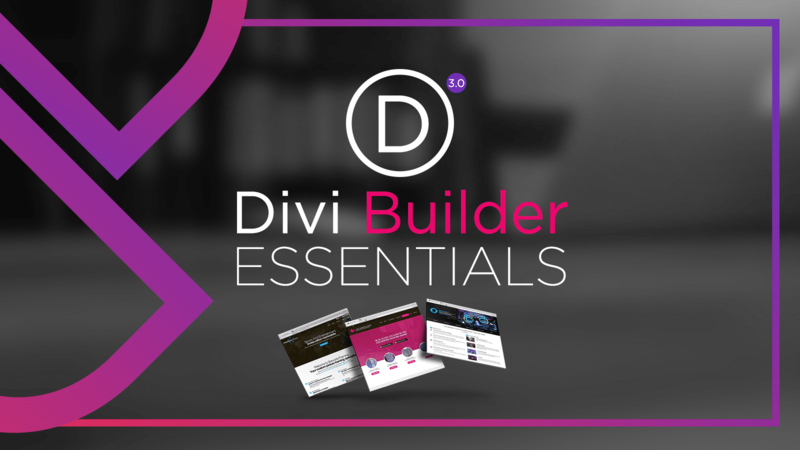 This is more than just a course on Divi Builder, it is a complete website building success system that utilizes Divi Builder to achieve amazing results. In this comprehensive training course, you will learn how to build the exact website you want, using Divi Builder. Thank you for your interest in this course. This course is currently in development. 50% of the course is currently available.